The federal dams on the Columbia Snake River System brought great things – navigation, hydropower, irrigation, flood control and recreation opportunities. But, they also affected the habitat and migration of the region’s anadromous fish, which have been impacted by a myriad of factors including commercial fishing and predation. In the Columbia River Basin, there are 13 species of salmon and steelhead listed as threatened or endangered under the Endangered Species Act. Four of these are Snake River runs. The ESA listings have been in place for many years, following decades of decline in fish populations. 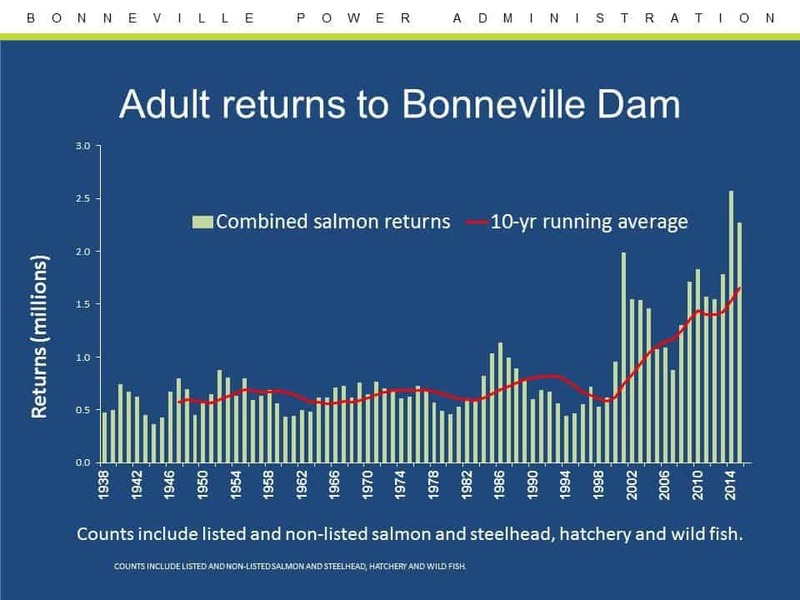 “Recovery plans have been proposed, biological opinions issued and re-issued, and legal battles fought over what actions, proposed and implemented, should be taken to avoid further jeopardizing the listed species, especially salmon and steelhead directly affected by hydropower dams,” wrote John Harrison, public information officer for the Northwest Power and Conservation Council. All previous recovery plans have met legal challenge. Most recently, federal agencies were defending the 2014 biological opinion (or BiOp). In May 2016, Judge Michael Simon of the U.S. District Court for Oregon ruled that a comprehensive environmental impact statement must be completed for the 2014 BiOp and should include evaluation of alternatives like breaching mainstem dams. While his ruling kept the current BiOp in place, it also required a new one to be completed by September 2021. The issue of dam breaching has been examined before. For example, in 2002 the US Army Corps of Engineers completed an EIS on the four lower Snake River dams, evaluating alternatives to help lower Snake River fall Chinook pass the dams. The Corps found dam breaching by itself would not recover the ESA-listed fish, would take the longest time to benefit the fish and would be the most uncertain alternative to implement. The Port of Lewiston supports a balanced approach to maintaining the Columbia Snake River System for its numerous benefits and recovering populations of historic fish. Our region should continue pursing aggressive and effective fish strategies but dams and fish recovery are not mutually exclusive. The current BiOp, which will continue to guide recovery until 2021, was developed over many years by Republican and Democratic administrations, three lead federal agencies, states and tribes. Additionally, numerous stakeholders with wide-ranging interests and goals have actively engaged in the process, sometimes for more than two decades. Data from recent fish runs indicate that the fish passage solutions at dams, and habitat and hatchery programs in the BiOp are working. The river system provides many benefits to our region and our world. The value of those benefits will only continue to grow as our world works to reduce CO2 emissions. River navigation and hydropower help keep our air clean, our environment healthy and our local economy moving forward. Barging moves far more product and requires far less fuel than road or rail. Hydropower results in zero CO2 emissions and supports development and implementation of new sustainable energy resources, such as wind and solar. Furthermore, the river system provides outstanding recreational opportunities, and, here locally, plays an important role in our sense of place. Lewiston, Idaho, is well-known as Idaho’s Only Seaport. Both the fish and a thriving multi-use river system are intrinsic to the lives and livelihood of people in the Pacific Northwest. We want to leave a legacy of both economic growth and salmon recovery. 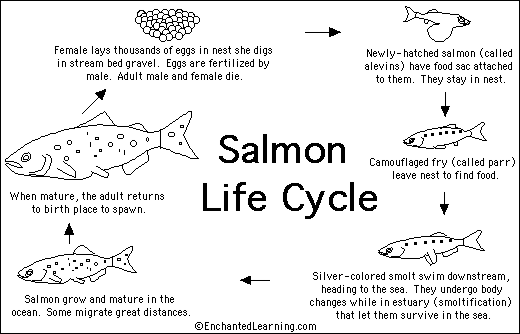 There are numerous resources regarding fish recovery in the Pacific Northwest. On this page, the Port of Lewiston strives to provide as many resources as possible and a jumping off point for further research. 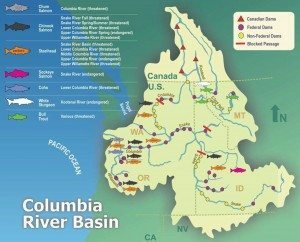 Read the 2016 Comprehensive Evaluation to get the full story on what’s being done to protect salmon and steelhead in the Columbia River Basin.